Nikki Reed also known Rosalie Hale from Twilight was out and about in Los Angeles, CA on Saturday, May 3rd. While headed out to dinner Nikki was spotted wearing the star blouse by Sorella. Be sure to check out Nikki’s Sorella look above! Kellan Lutz, 29, is an American actor and fashion model who’s most notably known for his role as Emmett Cullen in the cultural phenomenon that is Twilight. In his latest film, he was the lead actor (Hercules) in The Legend of Hercules that was released in January of this year. But Kellan has moved on to other projects outside of Hollywood, he has taken his background in fashion and turned it into a designer clothing line called Abott + Main. 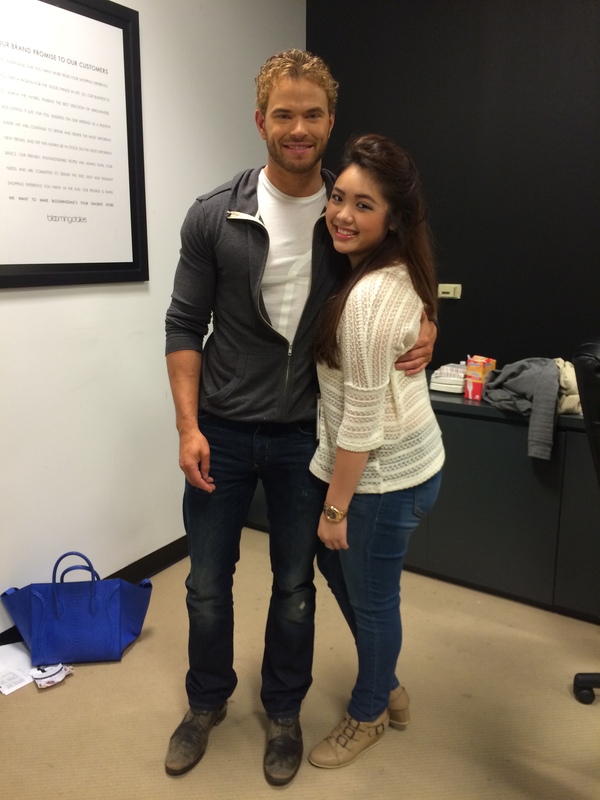 Kellan launched his Spring/Summer ’14 collection on Sunday, March 23rd at Bloomingdale’s Beverly Center, and our field reporter Crystal Ng was there chat with him about his new business venture. Check out the entire interview with Kellan in the video below. To see Kellan’s Abott + Main Spring/Summer Collection, click here. There’s no guilty conscience for Twilight star Kristen Stewart. She takes the good with the bad and turns a cold shoulder to her haters. Despite her skyrocket to fame, thanks to the Twilight series, her publicized relationship with co-star Robert Pattinson, her affair with director Rupert Sanders, and break up with Robert Pattinson, Kristen Stewart is unable to cope with the spotlight she has been thrust into but she’s okay with this, as well as the scrutiny that comes with it. K.Stew takes responsibility for all her actions and this is why she has so many fans who love her. Well said, K.Stew!